Today’s topic of discussion, regarding any kind of business, seems to be the integration of artificial intelligence (AI) in said domain. AI can be described as a sequence of technologies, from machine learning to language processing and it’s being used anywhere in the last years. Search engines, virtual assistants, video games and robots in manufacturing are all different expressions of artificial intelligence that use either machine learning or deep learning and sometimes both. But what is the difference? When your phone corrects the spelling of a word or a particular website suggests what movie you should see next, that is machine learning. The suggestions are made based on an algorithm influenced by the choices of humans. For example, if you keep watching Sci-Fi movies, after a period of time, the AI will start suggesting titles from that category or similar. Deep learning, on the other hand, gives the machine more decision-making power. While still programmed by humans, the computer learns how to acquire information on its own. A good example could be the picture-sorting option on your phone. The computer learns, based on the information that’s been fed to it, what a certain object is and recognizes it when you search, for example, “dog”. The computer learns how to identify the said object by recognizing patterns conceived by its programmer. An area where AI gains more and more supporters every day is eLearning. From quiz programs that alter their questions based on previous answers given by the learner, to Q&A chatbots that respond to basic questions addressed in a chat, AI can be tailored to assist the learning process of individuals. 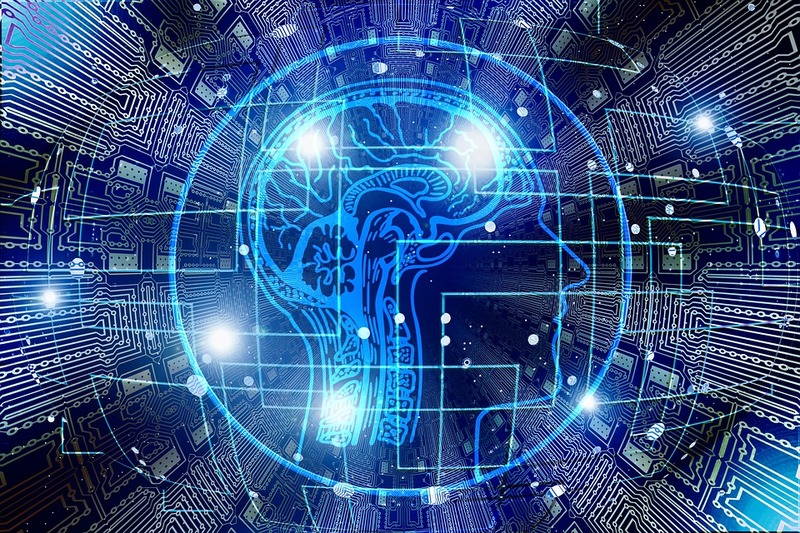 Researchers predict that by the year 2021, the use of AI in education will increase by almost 50% and will be used in any field of the industry, from schools to business training. Curriculum differentiation: We are all different and that means our way of processing information varies both in speed and method. What some students find easy, others might find simply confusing and difficult to understand. That is why AI was incorporated in eLearning and is constantly used to tailor the courses to fit the needs and pace of every student. Experts at clueylearning.com.au believe that using content adapted to the individual needs of the learners is helping them achieve their potential much faster. This way, the information is assimilated more successfully. Private lessons: One of the reasons students don’t ask questions in classrooms is because they feel embarrassed to admit they need additional support. Through the use of AI in online courses, students are able to ask questions and receive tailored answers to suit their requirements. This way, they can enhance their knowledge without feeling self-conscious. Updated and relevant material: With constant changes in every field of knowledge nowadays, it can be hard for teachers to constantly adapt and change the curriculum to keep up to date. AI can do that in a much easier way. It can be fed the information and taught to update it constantly, making the courses more relevant and accustomed to the world we live in. Cognitive learning: Limiting AI to quiz passing would be like using your smartphone just for calls. With the newest discoveries in technology, developing challenging activities that help students learn by applying the information they assimilate is now attainable. In order to better set the information in our brain, it is important to make use of it and such “games” can do that and more, thus making learning more challenging and entertaining. Breaking language barriers: Possibly the most important change in the eLearning industry is natural language processing. Students are able to interact with an AI assistant that is able to identify and understand their language. By repetitive interactions with the assistant, it can understand various accents, word connotation and tone variation. This can help break the language barrier and have students from one country seek help from teachers from other countries, without communication issues. Automation of basic activities: AI can be tailored to perform repetitive tasks such as grading. Teachers are now able to use AI to grade answers to quizzes (multiple choice, fill-in-the-blank), while they can focus more on essay gradings, that require subjectivity and human understanding. Feedback for both teachers and students: While it can be hard for teachers and students to constantly exchange feedback regarding the courses, AI can be taught to monitor the progress of students and notify teachers about their performance. In a class with tens of students it can be hard to keep track of everyone’s performance, but with a system like this, professors can identify the students’ issues and focus on that exact area. Tailored courses: Based on information received from the students, that could be in form of a quiz taken at the beginning of the semester, AI can tailor the information from an entire course. This way, it can provide students with custom designed courses that focus on the knowledge they need to improve. Finding suitable matches: Everybody knows how difficult choosing a major subject for high school or university is. Based on the information it learns from the students’ evolution in different classes, AI can be tailored to suggest students what major they should choose or what university is best suited for them, The machine analyzes both educational performances and more personal life choices, such as hobbies and interests to suggest options that fit the students lifestyle, financial status and many other aspects.